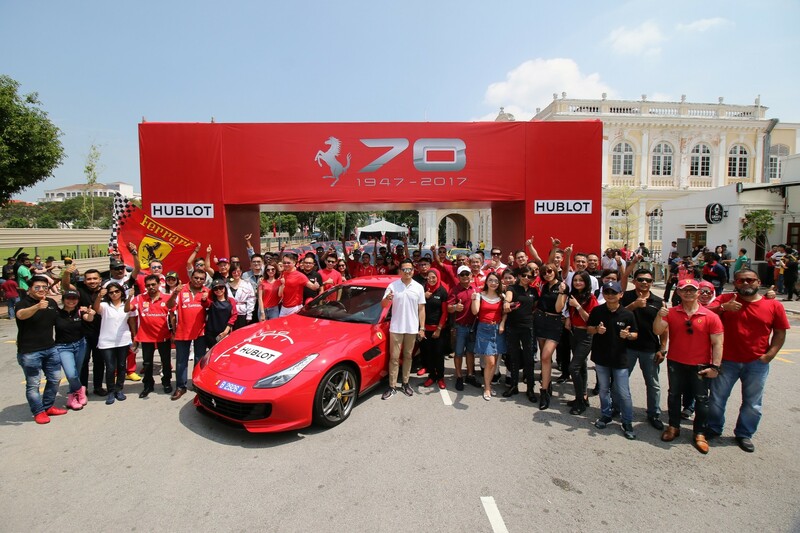 Ferrari’s 70th Anniversary Celebrations Conclude in Penang! 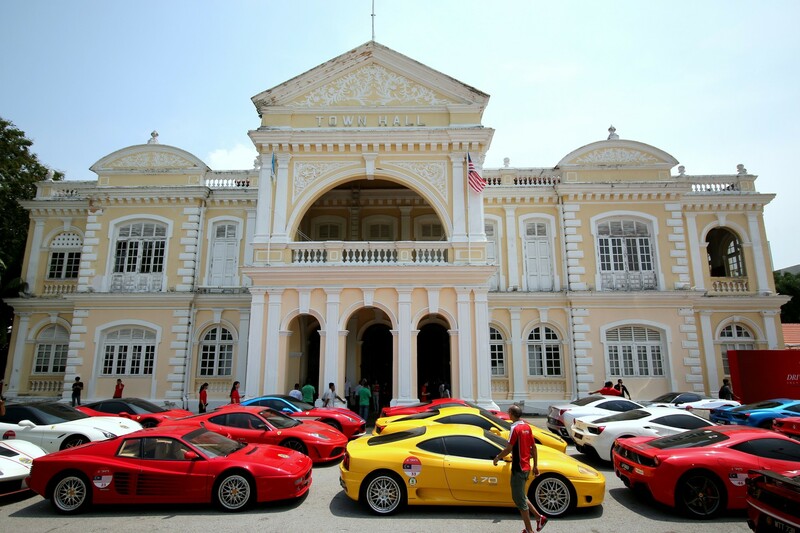 Ferrari’s 70th Anniversary celebrations in Malaysia recently concluded with a grand gala dinner at the historical Fort Cornwallis in Georgetown, Penang. 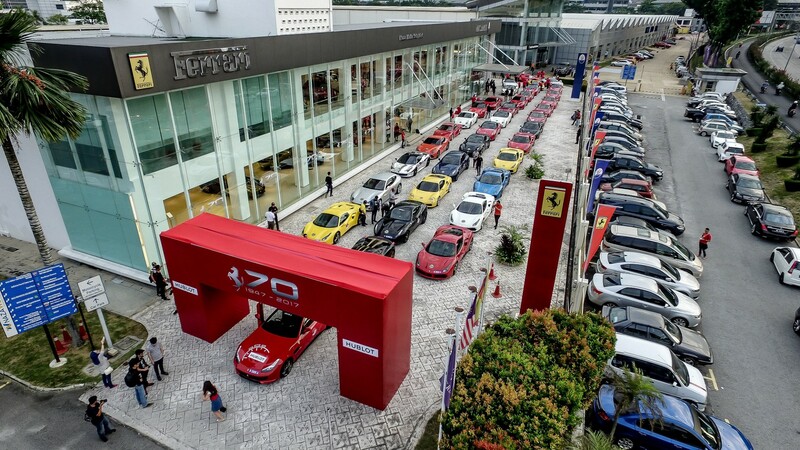 In alignment with the brand’s global festivities, Naza Italia, the sole official importer and distributor of Ferrari in Malaysia, organized an exclusive schedule of events that took place over the weekend of 22nd July 2017. 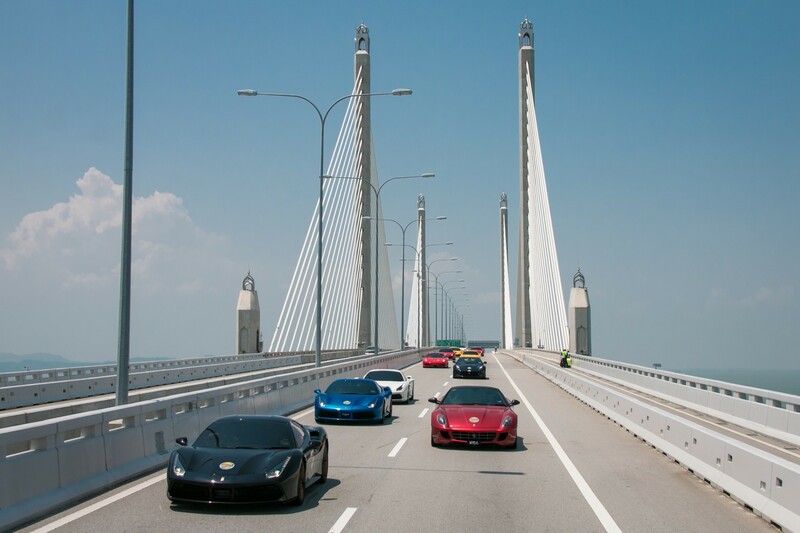 It began with a grand rally of Ferraris travelling in unison from the Naza Italia Showroom in Kuala Lumpur to Penang’s UNESCO World Heritage site. 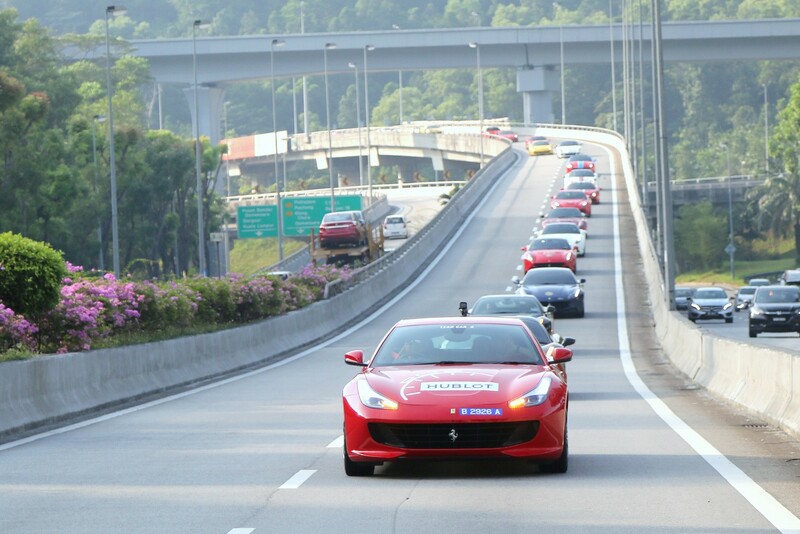 As one of the largest of its kind held locally, the rally provided an unforgettable driving experience for participating Ferraristi, not to mention other travellers on the road that caught sight of the supercar convoy. 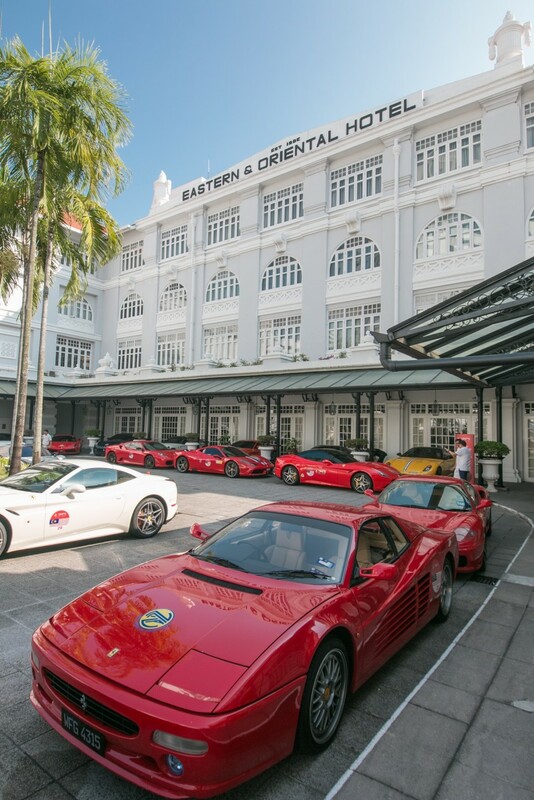 The Ferraris arrived to a delighted crowd of awaiting Ferrari enthusiasts and an auspicious lion dance. 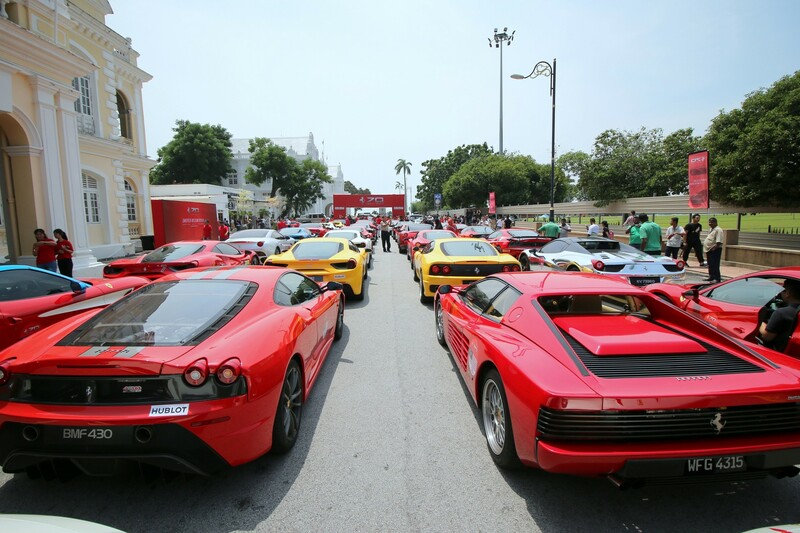 The 50 Ferraris then lined up in an impressive formation along Jalan Padang Kota Lama, just in front of the Penang City Hall. 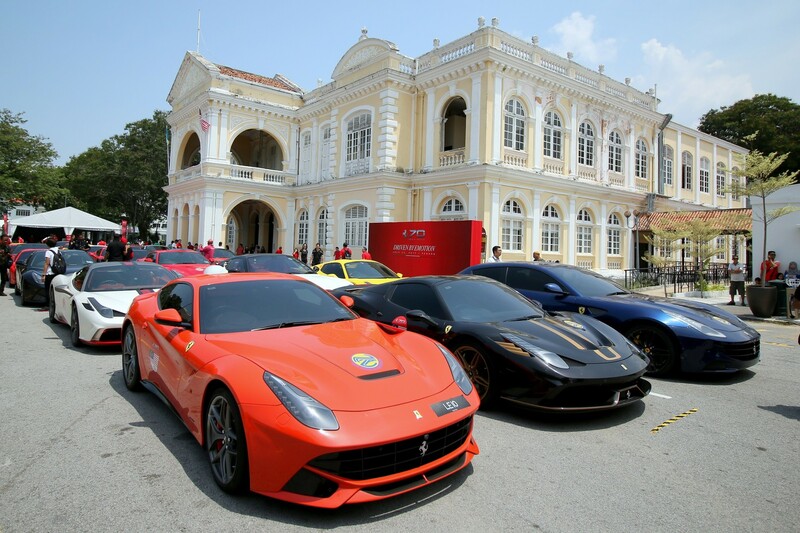 Ferrari owners were treated to a variety of sumptuous local fare from hawker stalls specially set up on site for the occasion. “Here in the heart of this World Heritage Site, we are reminded of the value of the past and how we can appreciate the best parts of what has been as we move forward. 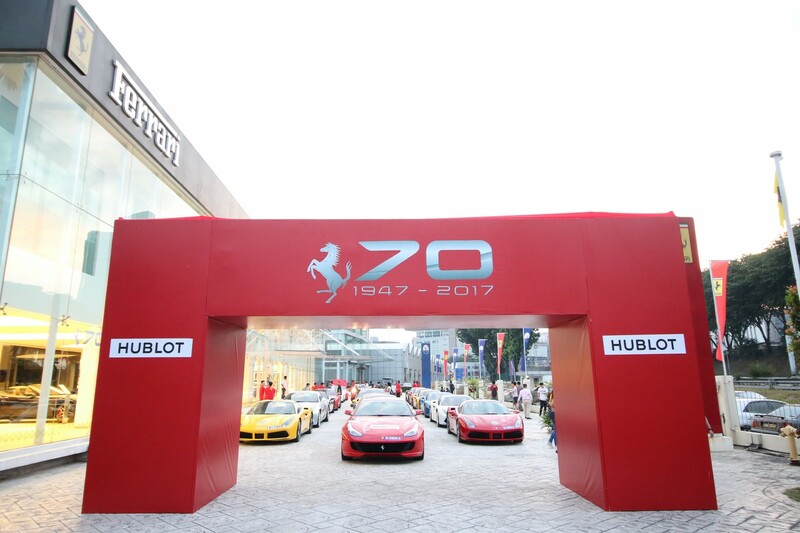 The 70th Anniversary festivities taking place all over the world in 2017 are not only about honouring Ferrari’s history; they also inspire us to look ahead to the brand’s future and even more milestones,” Datuk Wira Hj. SM Faisal (below, right) added. 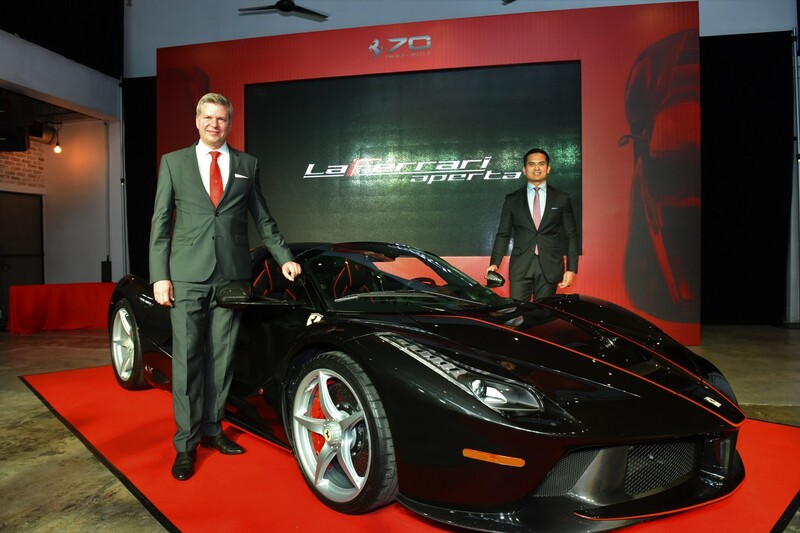 Naza Italia offered a glimpse of that during an elegant gala dinner at Fort Cornwallis, where it introduced the limited edition LaFerrari Aperta – the special series model launched to mark Ferrari’s 70th Anniversary. This exclusive and historical venue made for a fitting location at which to mark such a prestigious occasion. Esteemed Ferrari clients were picked up from their hotel by trishaw and brought to the location, where they were given a traditional Chinese drum welcome. The gala dinner hosted by Datuk Wira Hj. SM Faisal was graced by Y.Bhg Dato’ Maimunah binti Mohd Sharif, Penang Mayor and YB Danny Law Heng Kiang, EXCO Penang State Tourism Development & Culture. During the course of the evening, guests enjoyed a dance performance, serenades by a live band, and later in the evening were also entertained by a DJ. 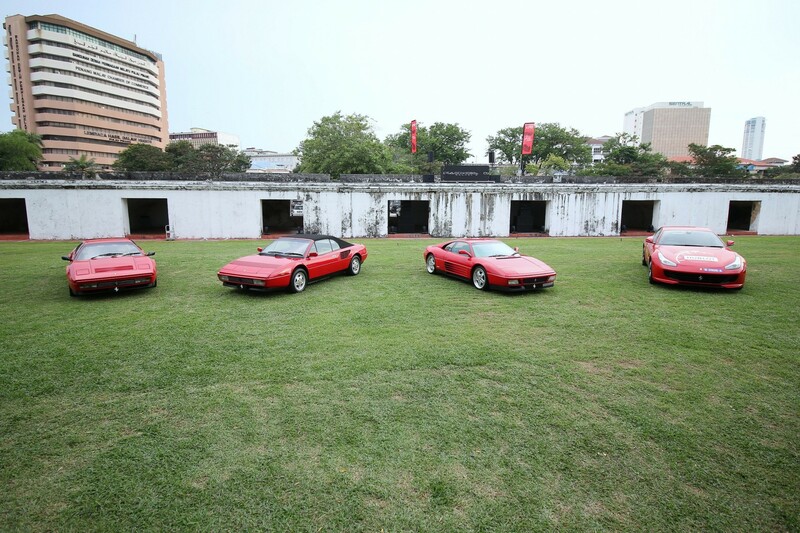 Several cars of Ferrari’s yesteryears, including the Ferrari 328 GTB, Ferrari Mondial & Ferrari 348 were displayed on the grounds, as a nod to the Cavallino Rampante’s past. As part of its corporate social responsibility programme and through its charitable foundation, Yayasan Tan Sri SM Nasimuddin, Naza Italia presented cheques for a total donation of RM105,000 to three homes in Penang – Pusat Jagaan Permata Kasih, St. Joseph’s Home and The Salvation Army Penang Children’s Home. As the symbol and iconic model of Ferrari’s 70th Anniversary, the LaFerrari Aperta is present at every stage of the ceremonies worldwide. This special series model is a limited edition spider version of the LaFerrari supercar. The LaFerrari Aperta is dedicated to the most loyal of Ferrari customers and with only 209 units developed; it is a feature of utter exclusivity. It boasts technological excellence, dynamic performance and unique style – all of which are core values that brilliantly represent the brand and its accomplishments of the last seven decades. The supercar effortlessly combines extraordinary performance with the unique exhilaration of open-top driving. It is equipped with the same hybrid power unit as the coupé: an 800 cv 6,262cc V12 engine (specific power output of 128 cv/l, compression ratio 13.5:1) coupled with a 120 kW electric motor for a total power output of a 963 cv. 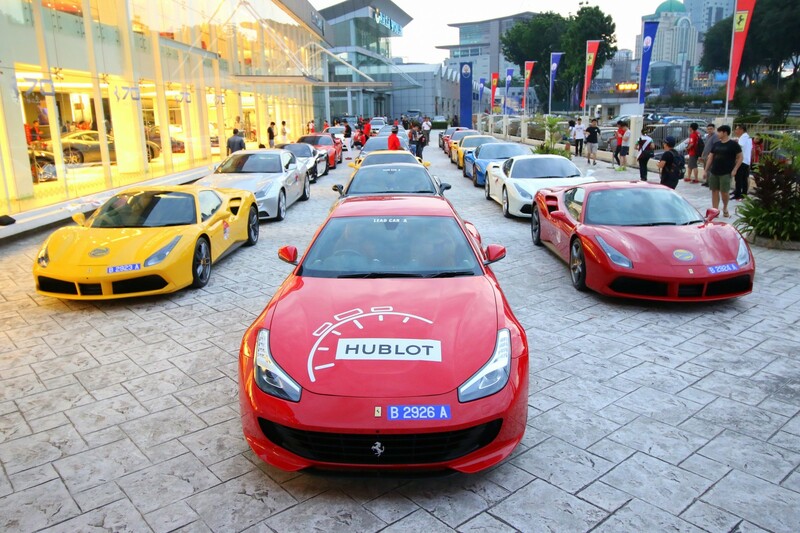 Ferrari Malaysia’s celebrations are part of a busy calendar of events happening in 60 countries across the globe. In a grand total of 70 events, clients and enthusiasts of the marque are being treated to specially crafted activities that honour the iconic luxury brand. As one of the cornerstones on which the Ferrari story was founded, “Driven by Emotion” is the theme of every tribute. The anniversary celebrations will culminate in Maranello on the weekend of 9 and 10 September 2017. A special website (www.ferrari70.com) has been created to reflect the celebrations as they unfold throughout the year as well as to introduce the pivotal moments and individuals in the company’s history. 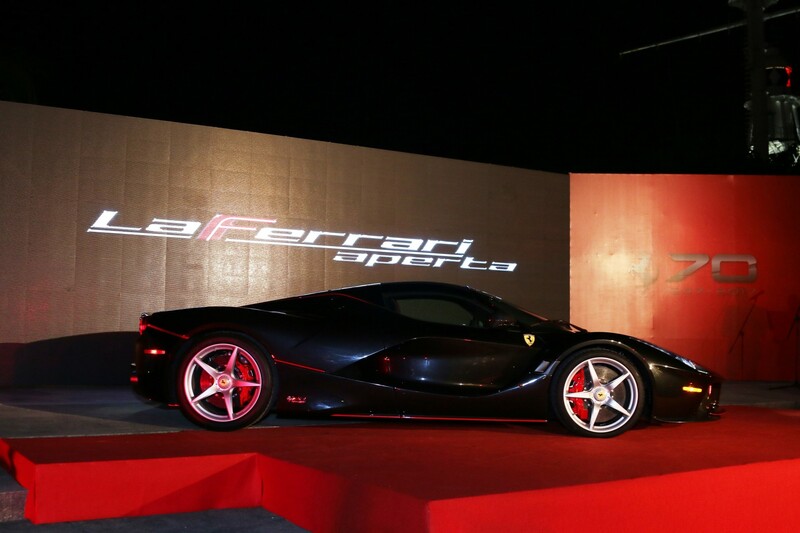 More exciting information about Ferrari Malaysia may be obtained at http://www.facebook.com/ferrarimalaysia.nazaitalia. Follow @ferrari.malaysia on Instagram for the latest updates and offerings of Ferrari and NAZA Italia.